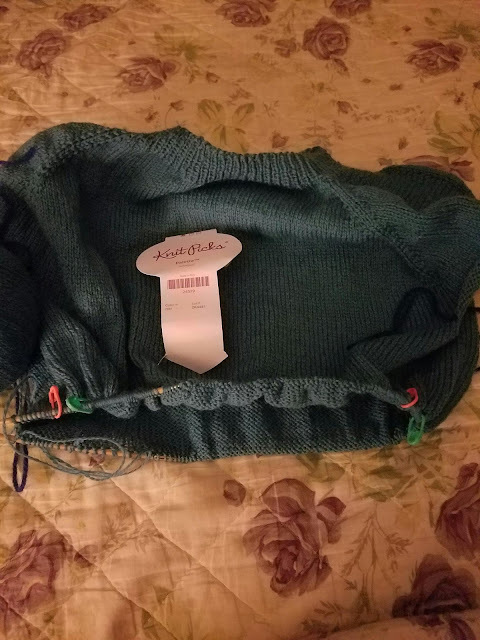 I did finish the dragon sweater, and it was not too soon. I chose a much simpler sweater for this year's birthday sweater. I know I am still behind, but here is this one. This is KnitPicks Palette yarn, in the color Whirlpool. 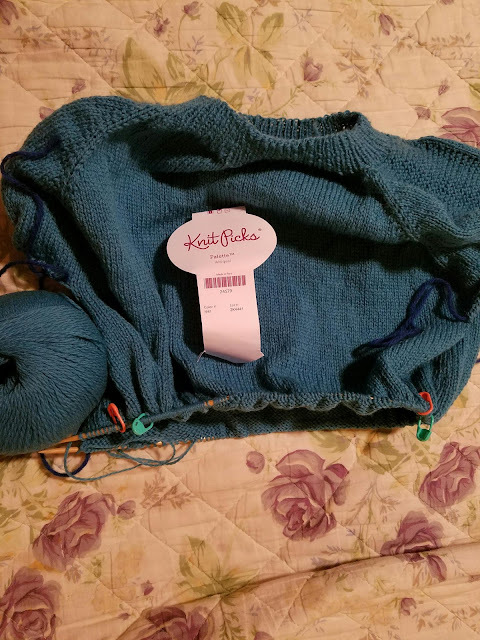 A few months ago, I found an incredibly great deal and I couldn't pass up on yarn. So I got all the yarn for this year's birthday sweaters for the kiddos. 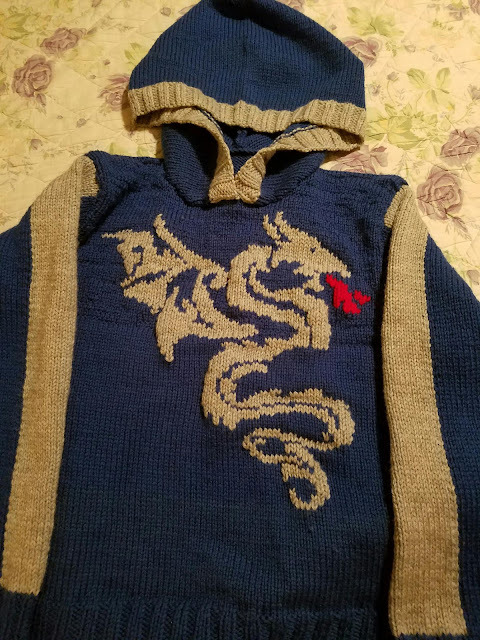 I still need to block the dragon sweater, but here it is in all its glory. Not too bad for a sweater that caused me a bunch of problems. And as usual, it is now too warm to really wear it. But he should be able to wear it next year as well.